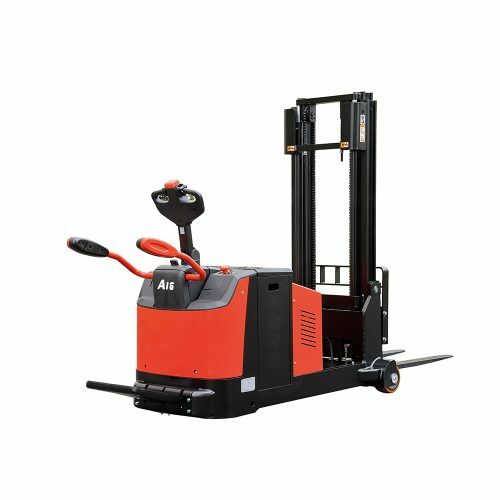 A series mini range reach truck applied big circular arc model, steam lines and compact design make the truck beautiful. 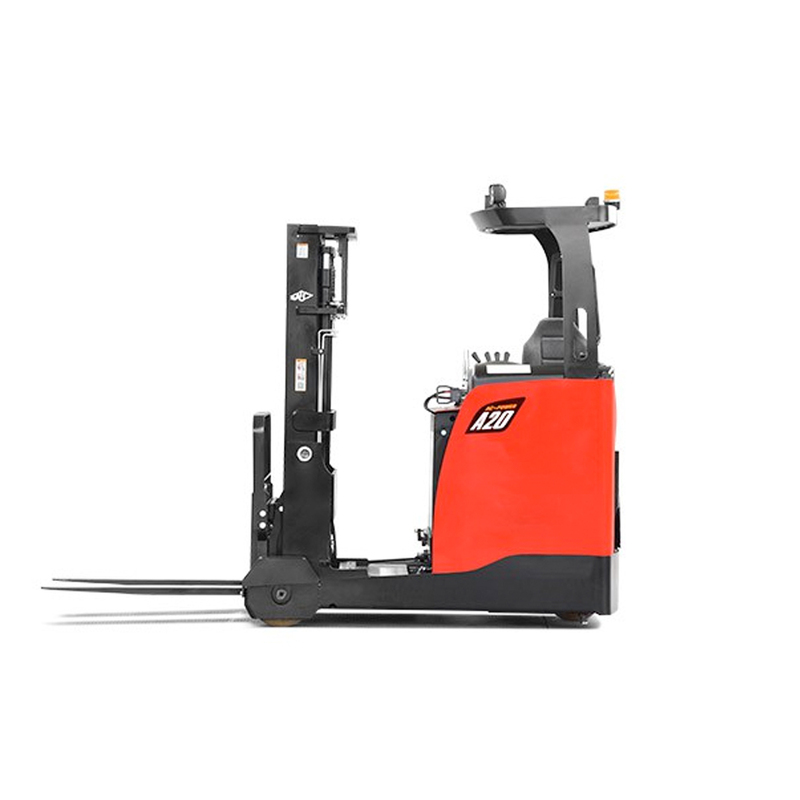 Low centre of gravity design and 4-pivot equipped with side support system for safe and reliable operation. 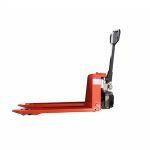 The traction system is arranged in the right rear of the chassis, thanks to the right and left 90 degrees turning of drive wheel, the truck can travel in the narrow space flexibly. Ergonomically designed joystick, can control the truck travel forward or backward easily. The drive can choose two operation mode, standing or seated. Electric Power Steering (EPS) is standard specification, which provides flexible operation. Low noise, no exhaust emission, low energy consumption, are all environment friendly. Full opened hood, easy accessibility of all components, is easy for service. The battery box can be easily pull out when the mast reach forward, it’s easy for maintain. 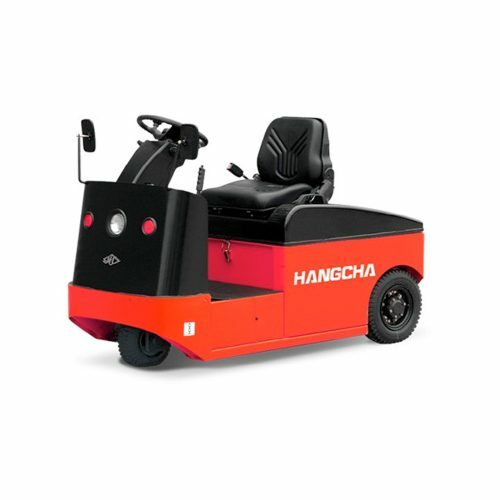 All the key parts such as waterproof connectors, electromagnetic brake and emergency switch adopt the famous brand, greatly improve the reliability of the electric system. There is overloading protection for electronics and hydraulic system. The truck can’t be operated unless the driver press the pedal（Operator presence pedal） which equipped with switch, the feature greatly improves safety and reliability. High frequency MOSFET controller provides accurate control of travelling, lifting with better adjustable performance, motor and battery match each other better. Three braking are applied with regenerative braking, reverse current braking, parking brake and auto speed control on gradient. It is more energy saving and effectively. Integrated battery indicator、hour meter and self-diagnostic instrument.